“Who Whacked Don Stefano?” is a new murder mystery dinner that blends real life Buffalo mobsters with a make believe murder plot. The show runs four nights in March and April and is hosted at the Barrel Factory in the Old First Ward at 65 Vandalia St., Buffalo. The performance is improvisational and allows audience members to interact with the cast to gain information and clues needed to solve the mystery. The action of the play focuses on the birthday party of Don “The Lips” Stefano. When the birthday boss is poisoned at the beginning of the party, audience members will match wits against each other to find the murderer. Performances begin at 6 p.m. and will be offered on March 29 and April 5, 12 and 19. Tickets are $57 per person and include buffet dinner service. More information and reservations are found here: https://buffalohistorytours.com/dinner-theater. 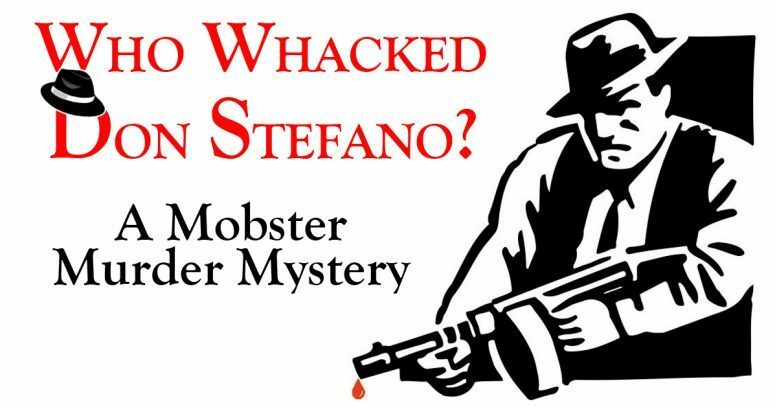 “Who Whacked Don Stefano?” is produced by Buffalo History Tours, a local entertainment company that creates murder mystery experiences based upon real life Buffalo characters. Venues for past performances have included grain silos at RiverWorks, The Hotel Lafayette, Canalside and aboard the Spring Lake Winery Train. The ensemble cast is also known for providing murder mystery performances aboard an authentic British double decker bus every Friday and Saturday, May through October. The bus is operated by Buffalo Double Decker Bus Tours. Be the first to comment on "New murder mystery dinner planned at Barrel Factory"